Not only is Jeff Dunham finishing up his next leg of his residency in Las Vegas, but he’s just announced a load of tour dates for this 2018 year and a few even for 2019. If you’ve never seen Jeff Dunham (which is highly unlikely), he is literally one of the funniest comedian ventriloquists alive today. Not only is his act hilarious, he’s a dynamite ventriloquist also. When he works with his ‘partner puppets’, you can barely see his mouth move and Jeff Dunham has such a wide range of voices and characters he can do. When he has 2 or more of his ‘cast’ argue, it really is funny and shows off how talented he really is. 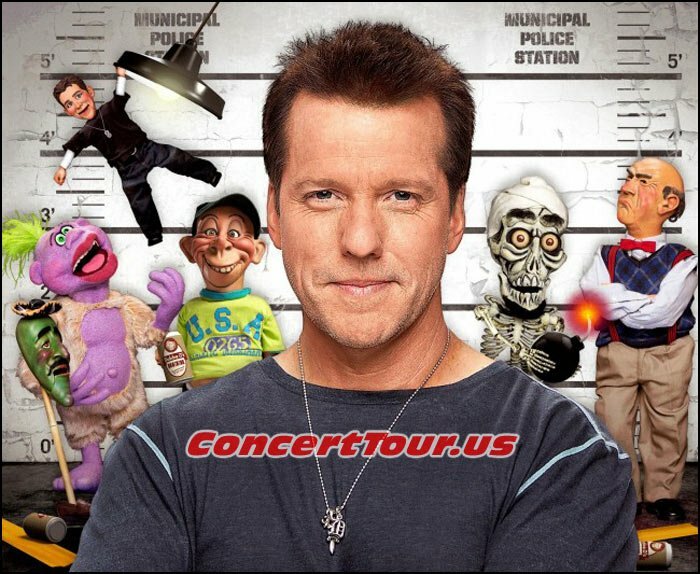 On tour with Jeff Dunham will be everyone’s favorite characters Achmed (known for his famous ‘I KEEL YOU!‘), Peanut, Walter, Jose Jalapeno On A Stick, Bubba J, Little Jeff, and maybe some new surprises? We don’t know if Jeff Dunham will introduce any new characters into his gig, but we do know that he hand makes each of of them. First he will carve the 3D image out of clay and when he’s fully satisfied, he makes the mold and completely makes & assembles the ‘puppets’ himself. You have to admit that Jeff Dunham is extremely talented in so many ways. To see him live is a blast and he will literally have you laughing so hard that your stomach will hurt. Even when I re-watch some of his older specials on DVD or cable, I still laugh like crazy even though I’ve seen them before. 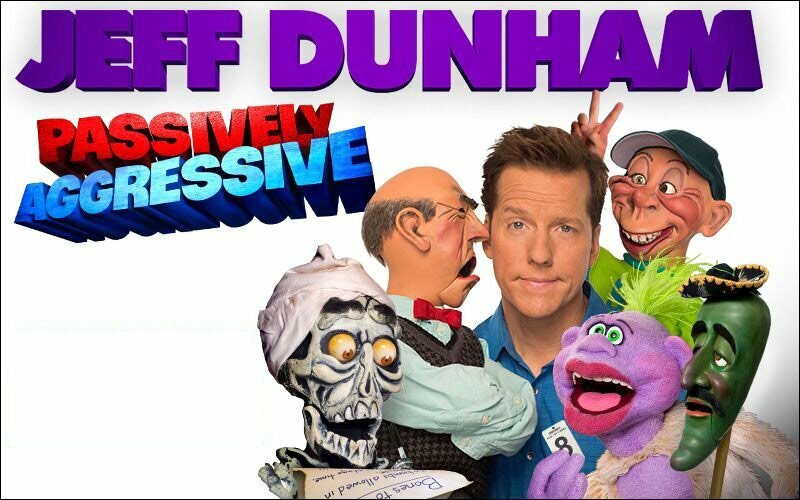 This new show promises to be great and I can not wait to see Jeff Dunham live with a whole new show. Look Below for the latest list of Jeff Dunham tour dates, look for tickets and watch some funny videos showing off what Jeff Dunham does best. Jeff Dunham is on his Passively Aggressive Tour. Don’t miss his live show, it’s hilarious! Here is JEFF DUNHAM with most of his characters and crew. Jose Jalapeno On A Stick, Peanut, Bubba J, Achmed, Walter and Little Jeff.